Copyright © 2013 Jorge A. Achcar et al. This is an open access article distributed under the Creative Commons Attribution License, which permits unrestricted use, distribution, and reproduction in any medium, provided the original work is properly cited. In accordance of the Creative Commons Attribution License all Copyrights © 2013 are reserved for SCIRP and the owner of the intellectual property Jorge A. Achcar et al. All Copyright © 2013 are guarded by law and by SCIRP as a guardian. In this paper, we study some robustness aspects of linear regression models of the presence of outliers or discordant observations considering the use of stable distributions for the response in place of the usual normality assumption. 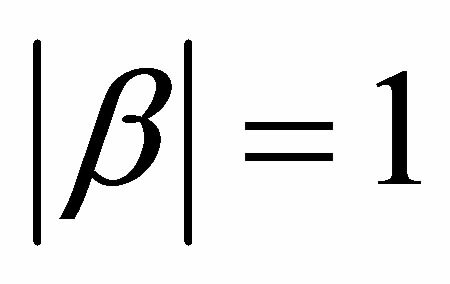 It is well known that, in general, there is no closed form for the probability density function of stable distributions. 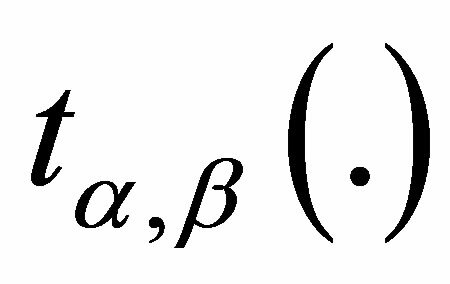 However, under a Bayesian approach, the use of a latent or auxiliary random variable gives some simplification to obtain any posterior distribution when related to stable distributions. To show the usefulness of the computational aspects, the methodology is applied to two examples: one is related to a standard linear regression model with an explanatory variable and the other is related to a simulated data set assuming a 23 factorial experiment. Posterior summaries of interest are obtained using MCMC (Markov Chain Monte Carlo) methods and the OpenBugs software. 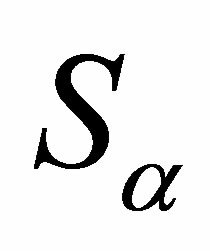 A wide class of distributions that encompass the Gaussian distribution is given by the class of stable distributions. This large class defines location-scale families that are closed under convolution. 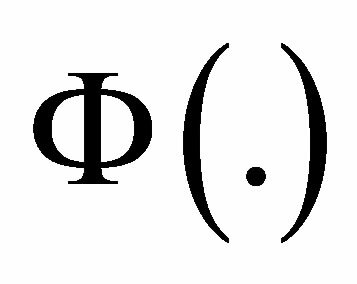 The Gaussian distribution is a special case of this distribution family (see for instance, ), described by four parameters and . 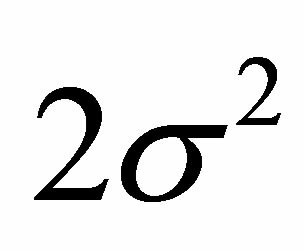 The parameter defines the “fatness of the tails”. When , this class reduces to Gaussian distributions. 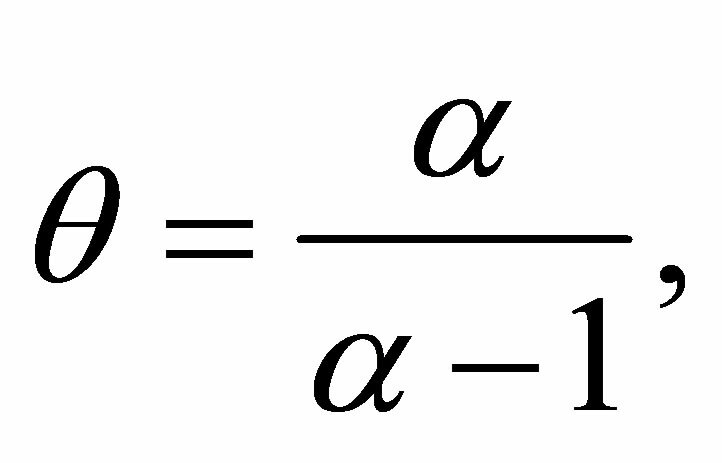 The is the skewness parameter and for one has symmetric distributions. The location and scale parameters are, respectively, and (see ). follows a standardized stable distribution (see  and ). 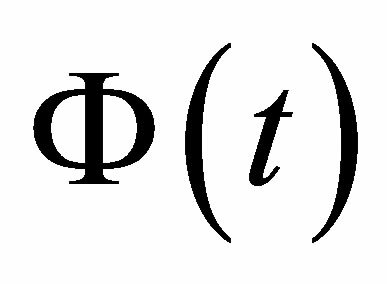 A great difficulty associated to stable distributions , is that in general there is no simple closed form for their probability density functions. 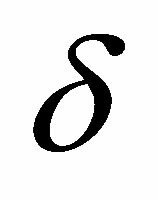 However, it is known that the probability density functions of stable distributions are continuous ([5,6]) and unimodal ([7,8]). 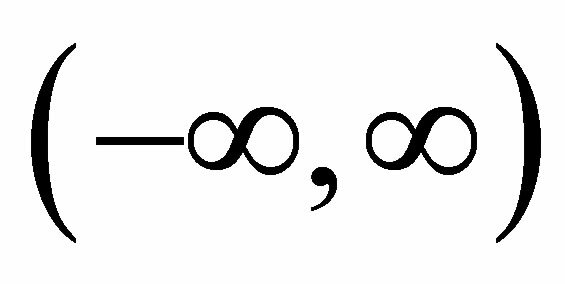 Also the support of all stable distributions is given in , except for and when the support is for and for (see ). 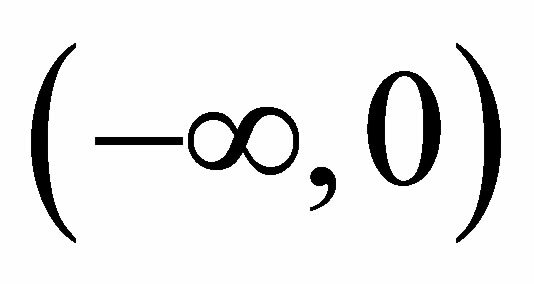 It is important to point out that if , the variance is infinite and the mean of the stable distribution does not exist. where is the characteristic function. 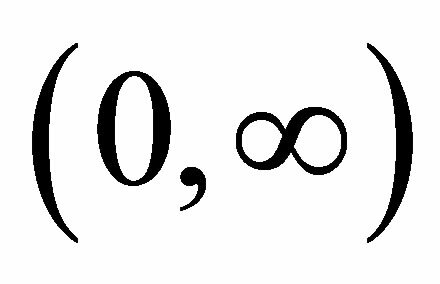 In applications, we need use numerical methods to solve the integral in (1.2), usually taking a great computational time. 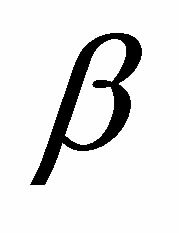 An alternative is the use of Bayesian methods. However, the computational cost can be further high to get the posterior summaries of interest. A good alternative is to use latent or artificial variables that could improve the simulation computation of samples of the joint posterior distributions of interest (see, for example [11,12]). 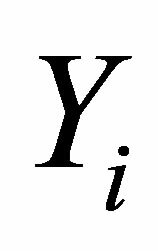 In this way, a Bayesian analysis of stable distributions was introduced by  using Markov Chain Monte Carlo (MCMC) methods and latent variables (see also, ). The use of Bayesian methods with MCMC simulation can have great flexibility by considering latent variables where samples of latent variables are simulated in each step of the Gibbs or Metropolis-Hastings algorithms(see for example [14,15]). 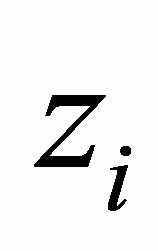 From the bivariate density (1.4),  showed the marginal distribution for the random variable Z is stable ( , 0, 1) distributed. Usually, the computational costs to obtain posterior summaries of interest using MCMC methods are high for this class of models, which could give some limitations for practical applications. One problem can be the simulation algorithm convergence. In this paper, we propose the use of the popular free available software to obtain the posterior summaries of interest: the OpenBUGS software. The paper is organized as follows: in Section 2, we introduce linear regression models assuming a stable distribution; in Section 3, we introduce a Bayesian analysis for linear regression models assuming a stable distribution; in Section 4, we present two examples to illustrate the proposed methodology; finally, in Section 5, we present some concluding remarks. 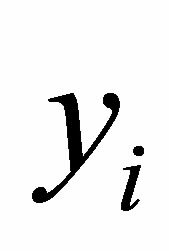 for , where1) The random variable represents the response for the i-th unit associated with an experimental value of the independent or explanatory variable vi assumed as a fixed value. In this way, xi is an observation of Xi. 2) The variables are considered as components of unknown errors as unobserved random variables. 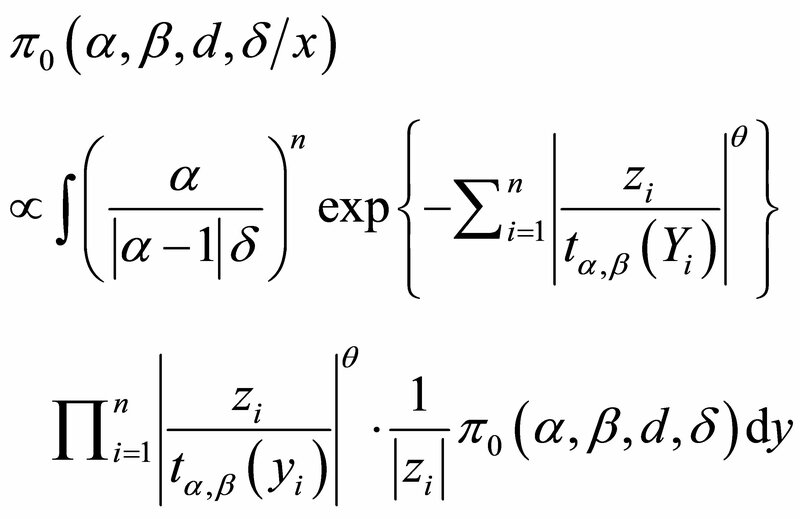 Assume that these random variables are independent and identically distributed with normal distribution . 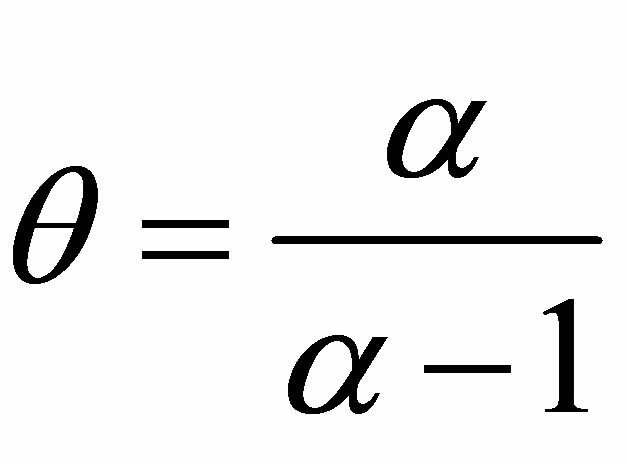 3) The parameters d0 and d1 are unknown. 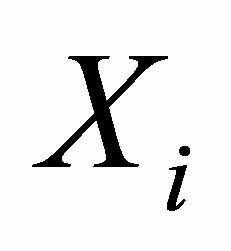 In this way Xi has a normal distribution with mean and common variance . 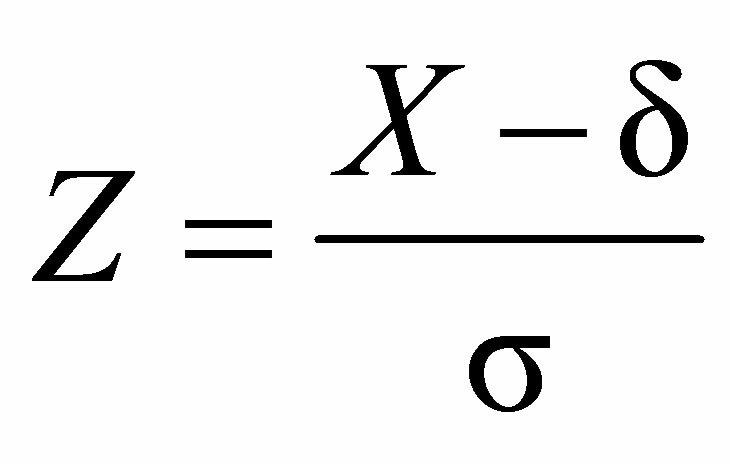 Usually we get estimators for the regression parameters using minimum squares approach or standard maximum likelihood methods (see for example, [16,17]). 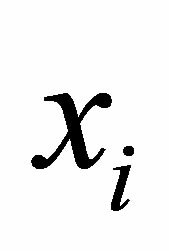 From the normality assumption for the error ei in (2.3), the random variable Xi has a normal distribution with mean and variance . 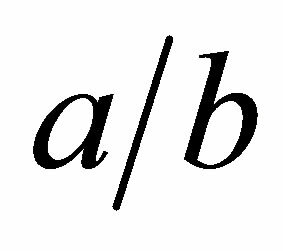 In practical work, in all applications we need to check if the above assumptions are verified. 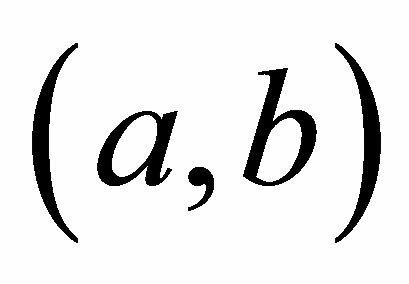 In this way, we consider graphical approaches to verify if the residuals of the model satisfy the above assumptions. 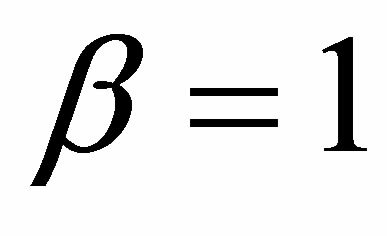 In presence of outliers or discordant observations we could have great effects on the obtained estimators for the regression model given by (2.3) which could invalidate the obtained inferences. In this way, we could use nonparametric regression models or to assume more robust probability distributions for the data. 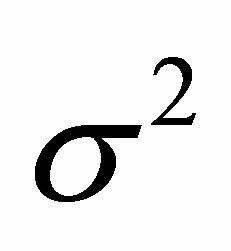 One possibility is to assume that the random variable X in (2.3) or (2.1) have a stable distribution . 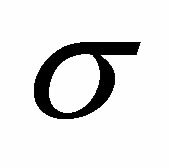 and ; and are respectively, the observed and non-observed data vectors. 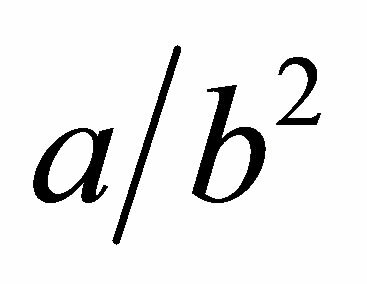 Observe that the bivariate distribution in expression (3.2) is given in terms of and the latent variables , and not in terms of and (there is the Jacobian multiplied by the right-handside of expression (1.4)). Observe that when we have and . 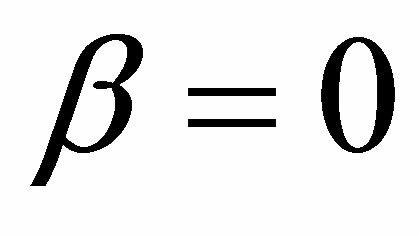 In this case we have a Gaussian distribution with mean equals to δ and variance equals to . 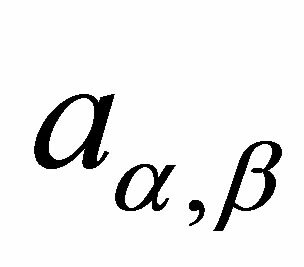 prior distributions for the regression parameters considering known hyperparameter values a and b2. We further assume independence among all parameters. 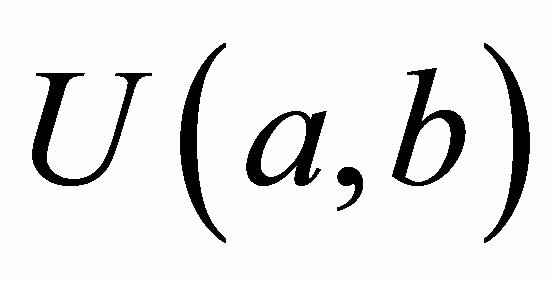 In the simulation algorithm to obtain a Gibbs sample for the random quantities α, β, d and δ, having the joint posterior distribution (3.2), we assume a uniform prior distribution for the latent random quantities for Observe that, in this case, we are assuming . With this choice of priors, we use standard available software packages like OpenBugs (see ) which gives great simplification to obtain the simulated Gibbs samples for the joint posterior distribution of interest. 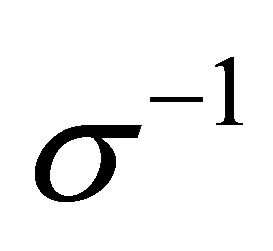 and (1.5) and is a density function, for . Since we are using the OpenBugs software to simulate samples for the joint posterior distribution we do not present here all full conditional distributions needed for the Gibbs sampling algorithm. This software only requires the data distribution and prior distributions of the interested random quantities. This gives great computational simplification for determining posterior summaries of interest as shown in the applications as follows. In these applications we illustrate the proposed methodology to real and simulated data sets, in special, showing the robustness of the model in presence of outliers. In Table 1, we have a data set related to an industrial experiment, where x denotes the response and v denotes an explanatory variable associated to each response (n = 15 observations). 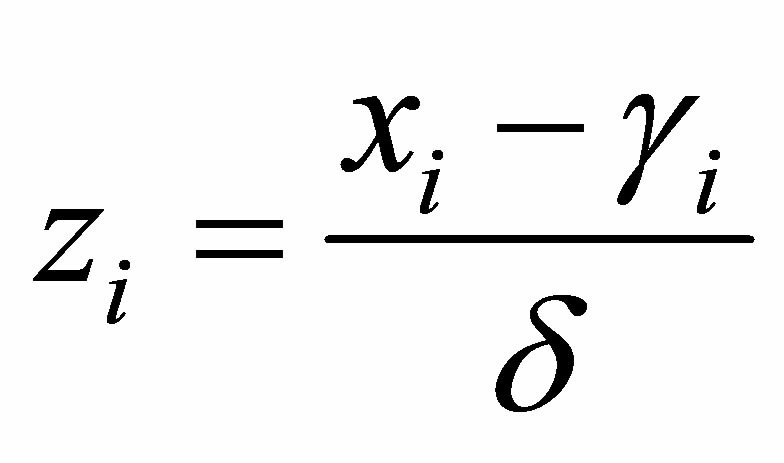 From a preliminary data analysis, we see that a linear regression model (2.1) is suitable for the data set. 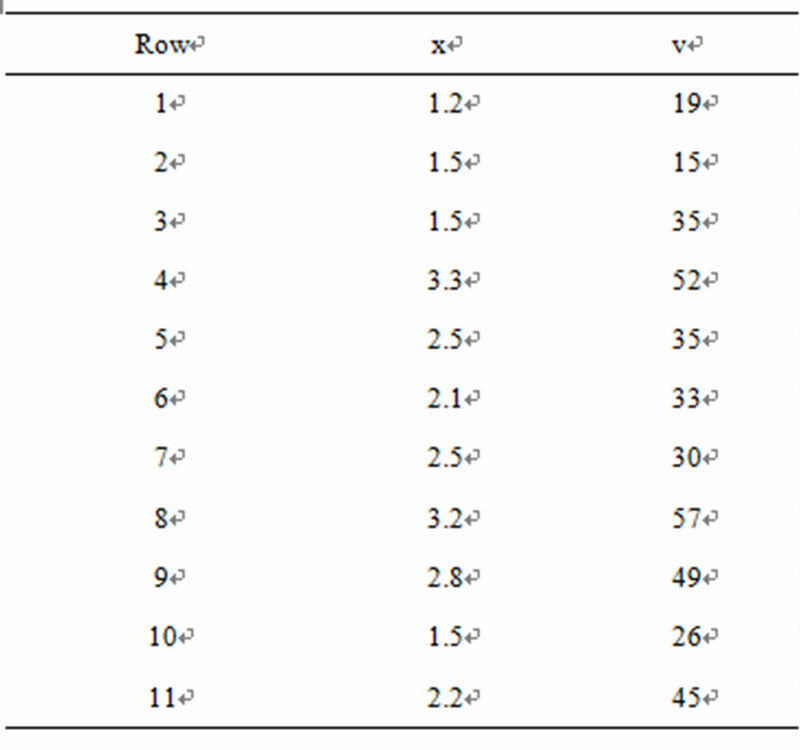 The estimated regression straight line obtained by minimum squares estimates and using the software MINITAB version 16 is given by where the regression parameter d1 is statistically different of zero (p-value < 0.05). From standard residuals plots we verify that the required assumptions (normality of the residuals and constancy of the variance are verified). Table 1. An industrial experiment data set. Table 2. Posterior summaries (linear regression). 500,000 samples). Convergence of the Gibbs sampling algorithm was monitored from standard trace plots of the simulated samples. 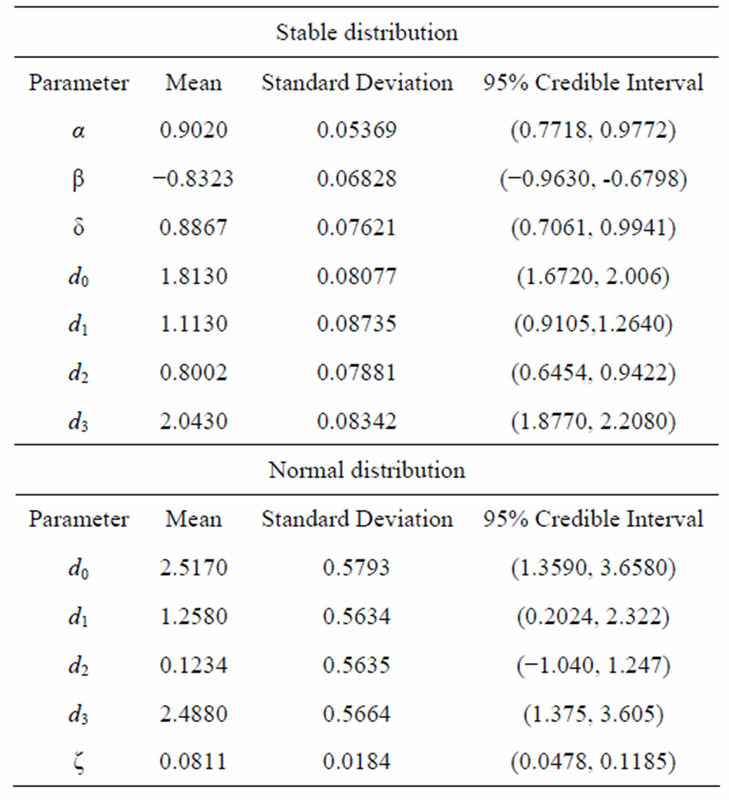 In Table 2, we also have the posterior summaries of the regression model (2.1) assuming a normal distribution for the error and the following priors for the parameters of the model: , and . In this case, we simulated 55,000 Gibbs samples taking a “burn-in-sample” of size 5,000 using the OpenBugs software. From the results of Table 2, we observe similar results assuming normality or a stable distribution for the data. In this case, we conclude that we do not need to assume a stable distribution for the data, since the results are very similar assuming usual normality for the errors and the computational cost using stable distributions is very high. In Figure 1, we have the plots of observed, fitted means considering both models versus samples. From the plots of Figure 1, we observe similar fit of both models (linear regression model assuming normality or a stable distribution). Observe that we have SAV = 4.496 assuming a stable distribution and SAV = 4.504 assuming a normal distribution, that is, very close results. Figure 1. Plots of observed, fitted means considering both models versus samples. Table 3. Posterior summaries (example 1, with outlier 1). Figure 2. Plots of observed, fitted means considering both models (presence of outlier 1). considering both models versus samples. From the plots of Figure 2, we observe that model with a stable distribution is very robust to the presence of the outlier given similar inference results as obtained without the presence of the outlier (see results in Table 2). We also observe in Table 3, that the estimated regression parameters with normal error are strongly affected by the presence of the outlier 1. 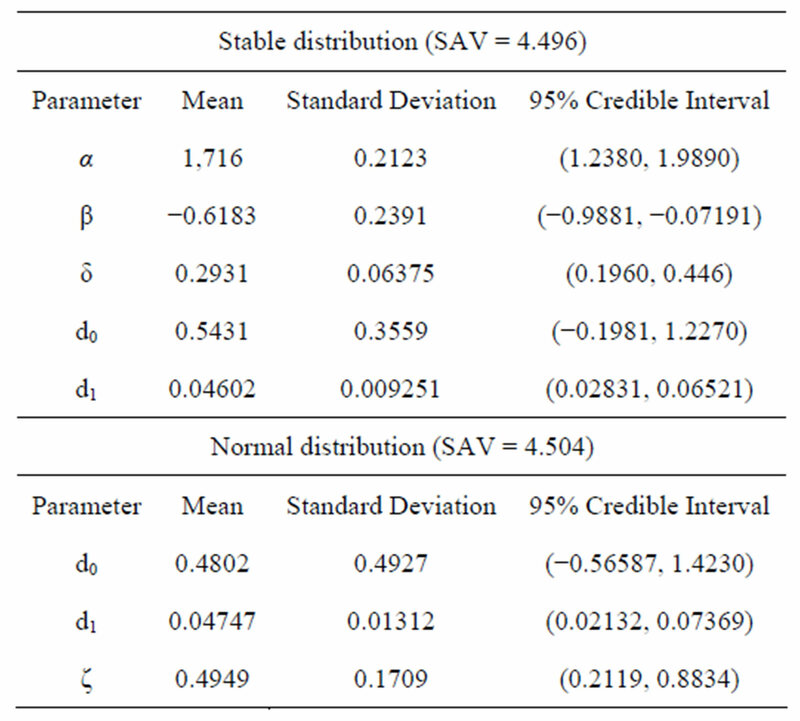 Observe that we have SAV = 4.623 assuming a stable distribution (a value very close to the SAV values given in Table 2, without the presence of an outlier) and SAV = 6.394 assuming a normal distribution. Similarly, we have in Table 4 the posterior summaries assuming another outlier replacing the 15th response (2.8) in Table 1 by the value 50.0 (denoted as outlier 2). In Figure 3, we have the plots of observed, fitted means considering both models versus samples for this case. From the plots of Figure 3, we observe that model with a stable distribution is very robust to the presence of outliers even considering a large discordant observation (outlier 2). 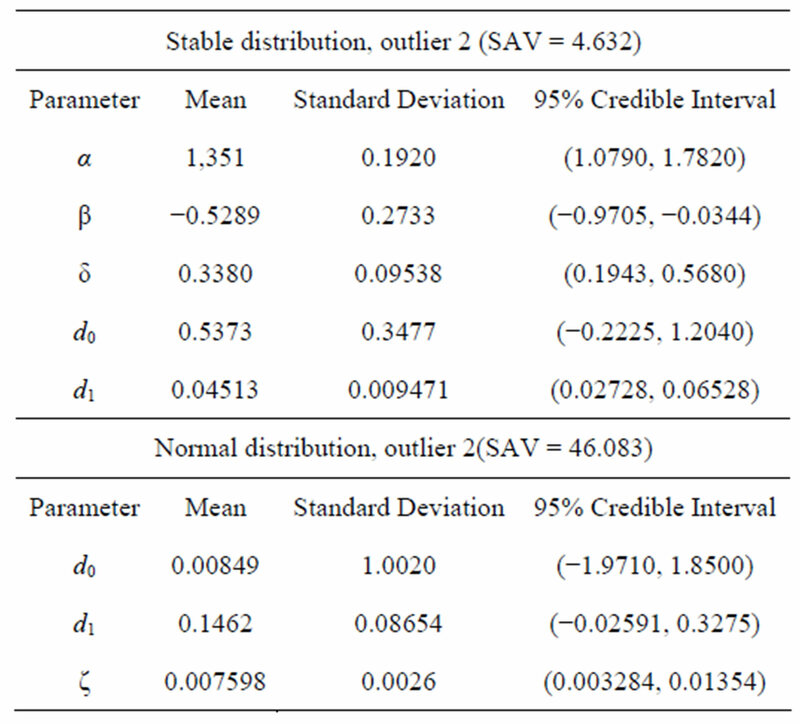 We also observe in Table 4, that the estimated regression parameters of regression model with normal error are strongly affected by the presence of the outlier 2. 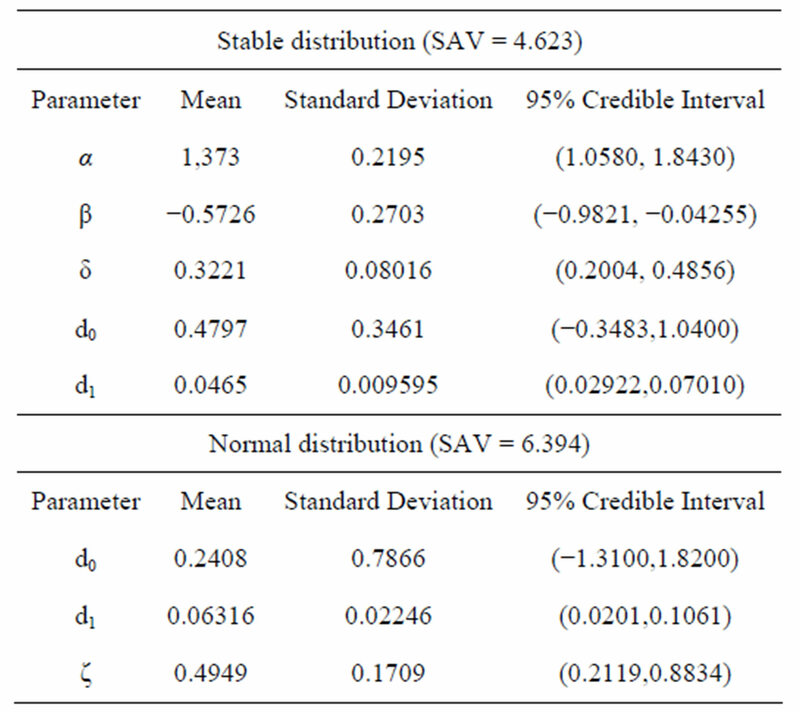 Observe that we have SAV = 4.632 assuming a stable distribution (a value very close to the values given in Table 2, without the presence of an outlier) and SAV = 46.083 assuming a normal distribution, that is, with very large values of outliers the obtained inferences are greatly affected assuming normality for the data. Table 4. Posterior summaries (example 1, with outlier 2). Figure 3. Plots of observed, fitted means considering both models (presence of outlier 2). 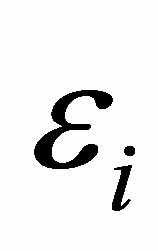 where d0 = 2, d1 = 1, d2 = 0.5, d3 = 1.8 and ei are independent and identically distributed errors with a normal distribution N (0, 1). 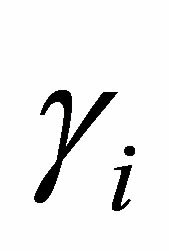 The estimated regression obtained by minimum squares estimates and using the software MINITAB version 16 is given by xi = 2.19 + 0.964v1i + 0.828v2i + 2.08v3i where the regression parameters d1, d2, and d3 are statistically different of zero (p-value < 0.05 for all regression parameters). 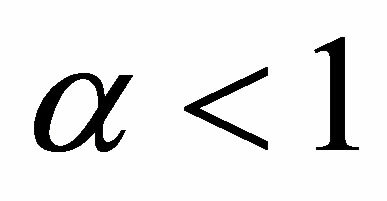 From standard residuals plots we verify that the required assumptions (normality of the residuals and constancy of the variance are verified). Under a Bayesian approach, we have in Table 6, the posterior summaries of interest assuming the linear regression model defined by (3.1) with a stable distribution for the response and the OpenBugs software assuming the following prior distributions: , , , and , , and .We also assume a uniform distribution for the latent variable Yi, . We simulated 400,000 Gibbs samples, with a “burn-in-sample” of 100,000 samples discarded to eliminate the effects of the initial values in the iterative simulation process and taking a final sample of size 1,500 (every 200th sample chosen from the 300,000 samples). Convergence of the Gibbs sampling algorithm was monitored from standard trace plots of the simulated samples. From the results of Table 6, we observe that the parameter α has a Monte Carlo estimate for the posterior mean for α given by 0.9089, that is, the mean of the stable distribution is not defined in this case (α < 1). 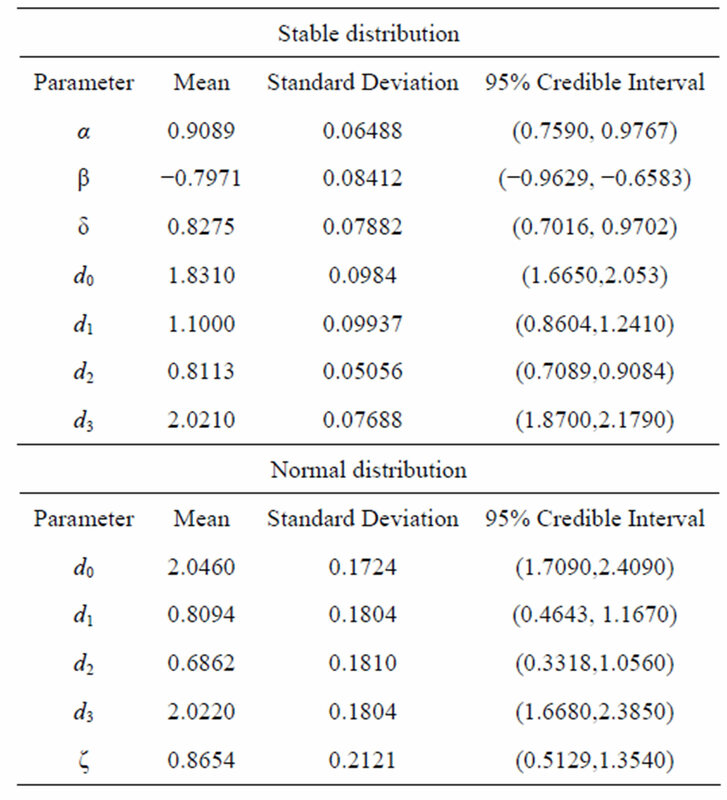 In Table 6, we also have the posterior summaries of the regression model (4.2) assuming a normal distribution for the error and the following priors for the parameters of the model: , where Gamma denotes a gamma distribution with mean and variance , , , and . In this case, we simulated 55,000 Gibbs samples taking a “burn-in-sample” of size 5,000 using the OpenBugs software. From the results of Table 6, we observe similar results for the Bayesian estimates of the regression parameters assuming normality or a stable distribution for the data. Now let us assume the presence of an outlier or discordant response (measure error) replacing the 30th response (5.04875) in Table 5, by the value 25.250. In Table 7, we have the obtained posterior summaries assuming the same priors and simulation procedure assumed for the results of Table 6. We observe in Table 7, that the estimated regression parameters assuming normal error are strongly affected by the presence of the outlier. Table 5. A simulated data set. Table 6. Posterior summaries (simulated data). Table 7. Posterior summaries (simulated data in the presence of an outlier). The presence of outliers or discordant observations is due to the measure errors many times. This situation is very common in applications of the regression analysis. In the presence of these discordant observations, the usual obtained inferences on the regression parameters or in the predictions based on minimum squares approach or maximum likelihood approach under the usual assumption of normality for the errors and constant variance could be greatly affected, which could imply in wrong inference results. The use of stable distributions could be a good alternative for many applications in the data analysis to have robust inference results, since this distribution has a great flexibility to fit for the data. 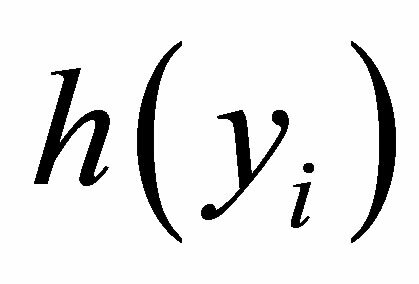 With the use of Bayesian methods and MCMC simulation algorithms, it is possible to get inferences for the model despite of the nonexistence of an analytical form for the density function as it was showed in this paper. It is important to point out that the computational work in the sample simulations for the joint posterior distribution of interest can be greatly simplified using standard free softwares like the OpenBugs software. Observe that in general, the appearance of outliers will absolutely affect the regression model under standard normality assumptions. The ideal results not affected by outliers could be obtained using the proposed methodology as observed in our applications. These results could be of great interest in applications. In both examples introduced in Section 4, the use of data augmentation techniques (see, for instance, ) is the key to obtain a good performance for the MCMC simulation method for applications using stable distributions. We emphasize that the use of OpenBugs software does not require large computational time to get the posterior summaries of interest, even when the simulation of a large number of Gibbs samples is needed for the algorithm convergence. These results could be of great interest for researchers and practitioners, when dealing with nonGaussian data, as in the applications presented here. J. A. Achcar and E. Z. Martinez gratefully acknowledge the financial support from the Brazilian Institution Conselho Nacional de Desenvolvimento Científico e Tecnológico (CNPq). I. A. Ibragimov and K. E. Černin, “On the Unimodality of Stable Laws,” Teoriya Veroyatnostei i ee Primeneniya, Vol. 4, No. 1, 1959, pp. 453-456.